12/2008 英國 TRAIL Magazine Berghaus PRo Rush Mid Win "BEST IN TEST"
2006 美國 Paddler Magazine Paddler Pick awarded to the Yakka ! 4/2005 美國 Backpacker Magazine EDITORS' CHOICE - Raichles' Mountain Trail XT GTX wins Gold! Ming Pao NT East Edition "潮流一族"
18/5/2002 東方日報Oriental Daily News GUMOTEX充氣獨木舟今 夏 必 玩 吹 氣 獨 膠 舟! 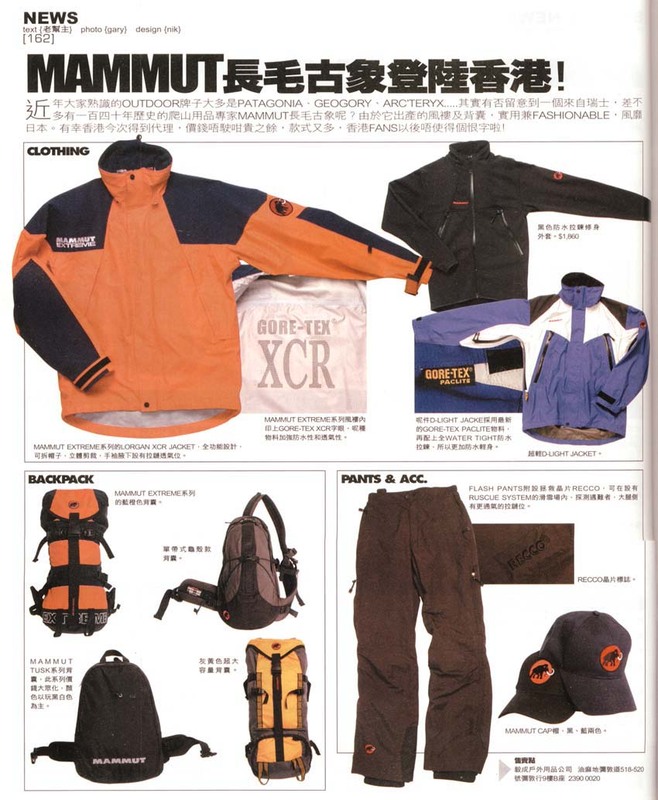 16/3/2002 蘋果日報 Apple Daily MAMMUT背囊 MAMMUT HOT BACKPACK EXPOSE! 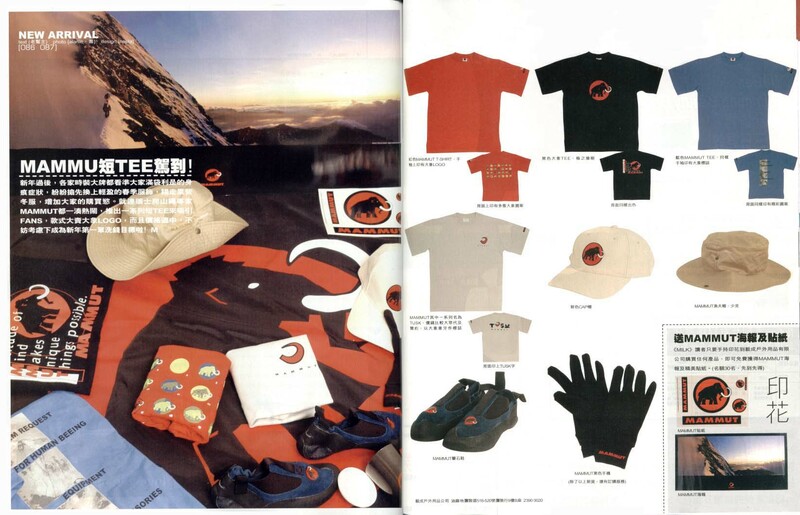 21/2/2002 MILK Magazine MAMMUT HOT Tee Arrival!